I prefer the non-descript briefcase to the sack with a dollar sign on it. 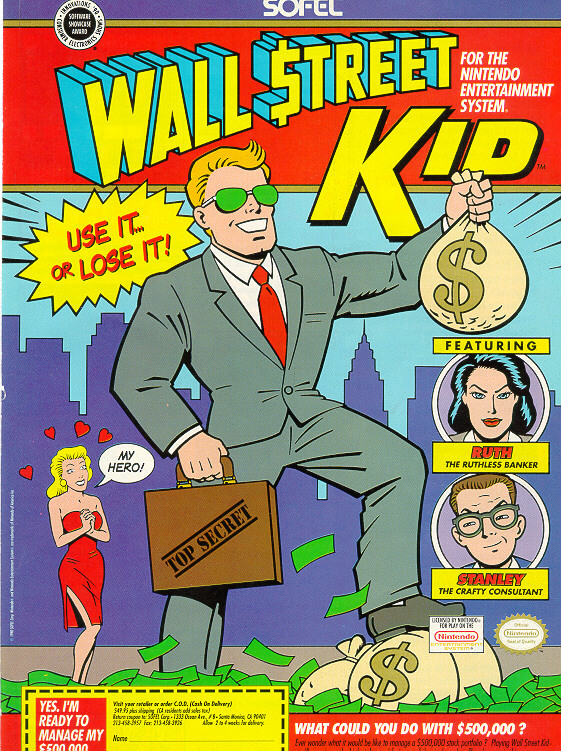 Wall Street Kid is a very simplistic stock market game developed for the Nintendo Entertainment System by Sofel, back when everybody thought greed was good. Perhaps they could follow it up with Global Financial Crisis Kid where you sell bad mortgages and bet against the products you sell your own investors.